It’s National Gardening Week – Why not sow some seeds? National Gardening Week (13-19 April 2015) was launched four years ago by the RHS and since then has grown into the country’s biggest celebration of gardening. Thousands of people, gardens, charities, retailers, culture and heritage organisations and groups get involved with many events and activities being held up and down the country from beginner’s workshops to guided walks, face painting to garden parties, there’s something for everyone and everyone is invited. Find out what’s on. Having been a gardener for most of my life, I must have sown thousands and thousands of seeds, yet I am still excited when they grow and appear out of the compost, it’s magical and also amazing to think that vegetables, flowers, grasses and even trees all start from a small seed. If you are new to gardening, sowing seeds can be a bit daunting and perhaps scary, why not start off with something very simple that is quick to grow and can be picked and eaten straight away, I remember growing Cress when I was at Primary School. Cress Seeds can be grown on compost in a seed tray or pot, or on kitchen roll or cotton wool; they germinate quickly, grow fast and need very little attention. Fast growing crops are best for children, fill your pots with compost, water then sprinkle your Cress seeds onto the surface place in a bright position and watch them grow, simply cut with scissors just above the compost level when ready, usually 7-14 days after sowing, and eat fresh. A brightly coloured Children’s Mini Propagator Kit is the perfect introduction for your budding gardener to sow and grow their seeds and will fit neatly on the windowsill. Decorate a small plant pot or empty container with a happy, funny or scary face using paint, felt tips or crayons, why not add some sequins, wool, glitter. Once your decorations have dried, place some compost inside the pot, water and sow some cress seeds on top. Place on a windowsill and water carefully when it starts to dry out. When the Cress has grown, give your Cress head a ‘haircut’ and enjoy. Draw a lamb on the plate, give him/her a large body. Spread some glue on the lambs body and press on a piece of cotton wool, allow to dry. Carefully wet the cotton wool. 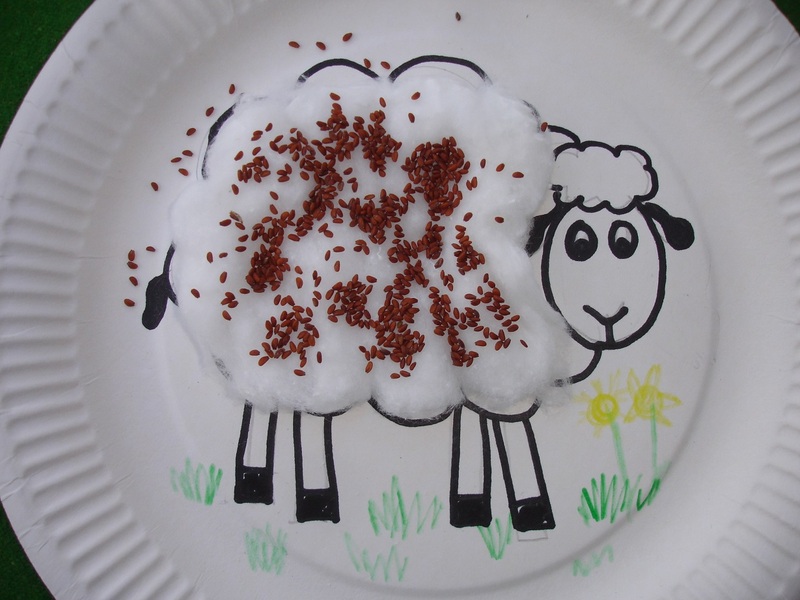 Sprinkle your cress seeds on the cotton wool and place on a light windowsill, keep the cotton wool moist. Watch your seeds grow, they will be ready to eat in 7-14 days, simply cut with scissors and enjoy.